Please note: you are view an unstyled version of www.wyc.org.uk. Either you have CSS (cascading style sheets) switched off or you browser is not capable of viewing CSS. Joy rides run between 12noon and 4pm and should be booked in advance by emailing training@wyc.org.uk. Are you looking for a new way to get outdoors and active or find something you can enjoy together with the family? 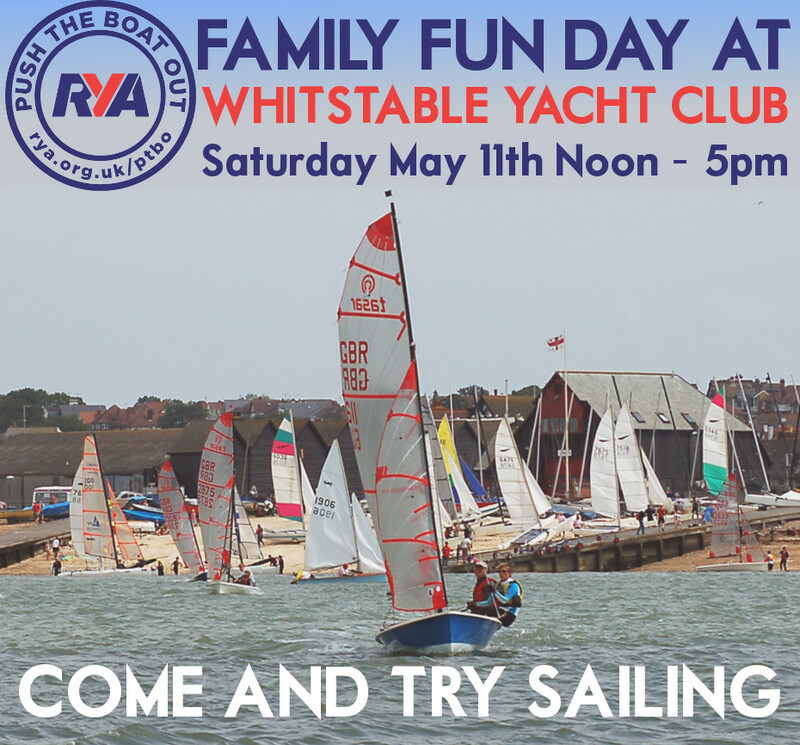 If the answer is yes, come and join our family fun day at Whitstable Yacht Club on May 11th. Whether you’re completely new to the sailing, looking to get back on the water or just want to give it a go, here’s your perfect chance. This fun day out will offer a range of free activites for all ages to take part in, on the beach and on the water including joy rides with experienced sailors on a range of boats. This event is part of Push The Boat Out, a nationwide event run by the RYA taking place throughout May at venues across the country. 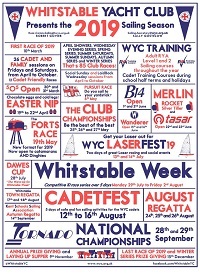 “We’re a friendly club and look forward to welcoming everyone down to see what sailing and Whitstable Yacht Club have to offer” commented training centre principal Richard Maltby. 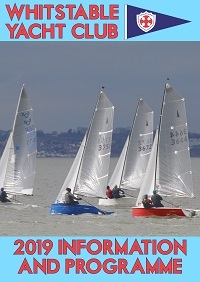 There will be full information on the broad spectrum of programmes run by the club from sailing lessons for total novices, to youth sailing and family activities, through to a whole range of competitive racing options. The club are also offering discounts on memberships and sailing courses booked on the day. Running between 12noon and 5pm on Saturday May 11th there will be seasoned sailors on hand to offer information, answer questons and show you the ropes. Joy rides run between 12noon and 4pm and should be booked in advance by emailing training@wyc.org.uk. Note: Joy Rides are weather-dependent and open to participants 8 years and older. Comments and suggestions for this site should sent to the webmaster.